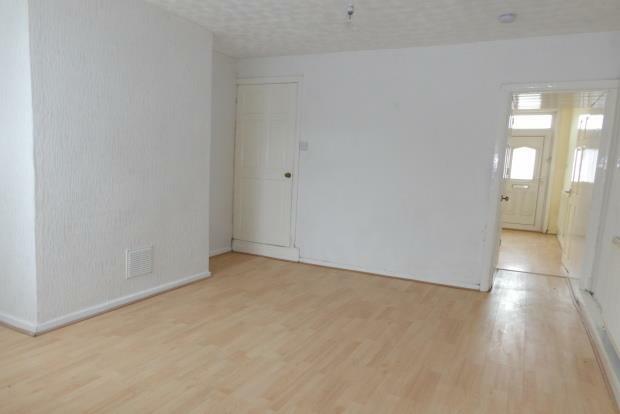 2 Bedroom House To Rent in Sutton-in-Ashfield for £450 per Calendar Month. Spacious two bedroom terraced house with great commuting links. Ground Floor: Lounge with laminate wood flooring, leading through to an open plan dining room and kitchen with a large under stairs storage cupboard. The kitchen is brand new with a range of wall and base units, integral electric oven and hob with strainless steel chimney style extractor fan over. There is an inset sink and drainer, tiled splash back and space for fridge freezer and washing machine. First Floor: Master bedroom to the front which a is a large double room, followed by a another double bedroom to the rear. The bathroom is fitted with a shower over the bath. Outside to the rear there is s decent sized yard with outbuildings.